The prices remain US$99 for the full version of either PSE 11 (photos) or PRE 11 (videos), and $149 for the bundle package containing both complete products. Education customers can grab the Student and Teacher Edition for $119 for both applications (note that academic pricing is not offered for each one individually). The languages available today include English, French, German, Dutch, Spanish, Portuguese, Italian, Swedish, and Japanese. Adobe is also continuing the upgrade discount for owners of any previous version of Elements. This briefly disappeared awhile back, but by popular demand the lower pricing was restored worldwide. 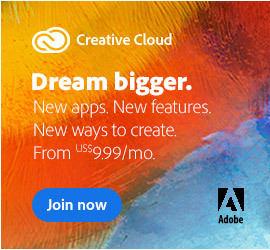 This means if you are an existing user of any previous version of Elements (Photoshop or Premiere, back to version 1), you get a lower price from Adobe when upgrading to this new release. In North America, these upgrade savings are available exclusively through the online Adobe Store. Photoshop & Premiere Elements 11 will run well on 32-bit or 64-bit systems, and are designed for Windows XP, Vista, Windows 7, Windows 8, or Mac OS v10.6 through v10.8 (see the full system requirements for PSE 11 on Windows/Mac; and PRE 11 on Windows/Mac). Premiere Elements 11 comes with a native 64-bit version for higher performance – in other words, the PRE Editor now runs native on both 32-bit and 64-bit operating systems. Photoshop Elements 11 continues as before, running native in 32-bit and compatibly on 64-bit systems. For customers with both PCs and Macs, the Elements line is sold as multiplatform software, meaning your single purchase can be installed on either operating system… If you buy a boxed copy of Elements 11, you will get both the Windows and Mac OS versions of the application(s) and a cross-platform serial number. 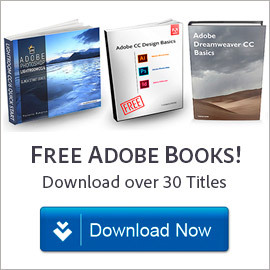 And similar to other Adobe products, you may be able to install the software on up to two computers. 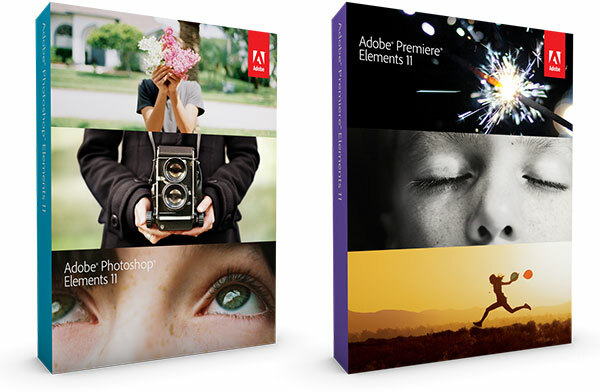 All Elements 11 download versions are available immediately (including 30-day free trials), and for a limited time you can get free shipping through the online Adobe Store in most countries. If you recently purchased Elements 10 (the prior release), then Adobe has set a grace period to give you a free upgrade to Elements 11. All Elements 11 orders in North America will also receive a complimentary $20 gift card from Shutterfly. What’s new in Elements 11 – what are some key new features? There’s a lot here, much more than your usual Elements upgrade. 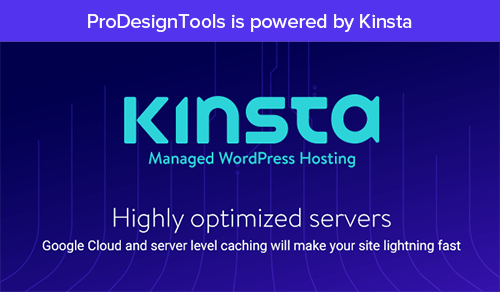 One big focus of this release is the all-new intuitive editing environment including a reengineered Organizer that works for all user levels. This is covered in detail in our companion “what’s new” review, but here are some quick highlights of the new features; see also the two videos below. Elements is already the #1 selling consumer photo- and video-editing software.† Powered by the same core engine as Adobe Photoshop, the industry standard for digital imaging, and with these new features on top of the Spot Healing Brush (Content-Aware Fill), Curved Text, Smart Object Search, Crop Guides, Layer Masks, and other additions in recent releases, this latest 11th-generation version of Elements is looking like a welcome upgrade. * Elements 11 will not overwrite earlier versions. If you install PSE 11 or PRE 11 on a computer with older Elements software, both versions will work independently and stay on your system until you remove one. For your photos and videos, you can upgrade/convert a copy of your catalog to move everything over the first time you launch Elements 11. That should happen automat­ically, but if it doesn’t then you can force it using File > Catalog > Convert. † Source: The NPD Group/Retail Tracking Service (April 2002 to March 2012) based on units sold in the Video and Photo Editing categories. Do you have any questions about Photoshop/Premiere Elements 11? Just ask them below and we’ll get you answers fast! 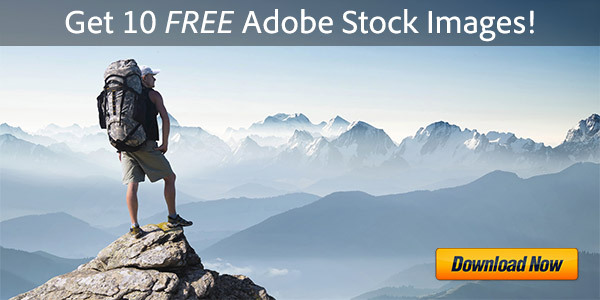 I have been trying to install a genuine Adobe Photoshop Elements 11 on my MacBook Pro. But the DVD install disc just keeps being rejected. Is there anything I can do? Have tried other DVDs and the same problems continues so it appears to be the drive itself. It’s a CD/DVD drive but the CDs are not rejected. Would appreciate to get some ideas as to what this problem is about? Not sure why your disc or drive isn’t working, but have you tried the PSE 11 direct download links? My Adobe Elements 11 was installed months ago by a professional because Adobe would not accept my software license. Adobe Photoshop Elements 11 has worked well until a week ago when Photoshop Elements Editor refused to install. How can this be rectified? Sorry George, can you give a little more detail about exactly what happened, any error messages, etc.? It’s not entirely clear because in the first sentence you say the software was installed, and then in the second sentence you say that it wouldn’t install. 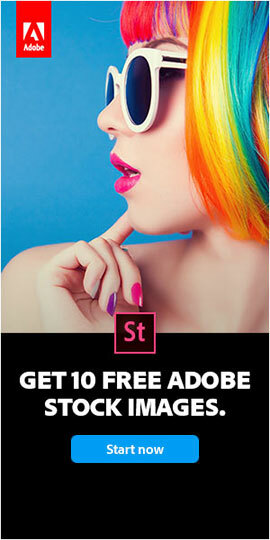 I was directed to your website by Adobe because I wanted their advice on downloading version 11 of Premiere Elements. I have a licence but need to download again as I have changed my computer to one running Windows 8.1 64 bit. However when I tried downloading the version on your site it gave an error message saying I could not access your server. Is there any way you can give me access so I can download the 64 bit version of Premiere Elements v11? Yes Ian, you just have to make sure to carefully follow the download directions given on the Elements 11 direct links page, otherwise they won’t work and you’ll get that exact message. HELP…I’ve been trying to download the software for PSE11 for 2 days! It stalls out at 564.8MB???? I have a new MacBook Pro (Model A1425) that was just wiped by the Geek Squad..so there is room, so not sure what the issue is – but it’s driving me crazy!!!!! Sorry, not sure what the difficulty is either Renee – everything checks out fine on our end… Try a different web browser (like Chrome instead of Safari) and see if that helps. I am trying to download pse 11 onto my laptop using the serial numbers i have from installing onto my pc, but it will only allow to to download part of the dowwnload, and then i get the message that the archive part of adobe pse 11 is missing, you need all parts in the same folder to be able to extract, please download all parts. It sounds like your browser may have dropped the file extensions from your downloads, which can happen sometimes especially with Internet Explorer. Make sure both files are in the same folder – with the first one being a “.exe” file and the second a “.7z” file. If not, rename them back to restore those extensions. Probably a stupid question but how do we know if we should download the 32-bit or the 64-bit version? Not a stupid question at all Alana… See this page from Microsoft for how to determine which type of operating system you are running, whether 32-bit or 64-bit. Do I need Photoshop Elements and Photoshop Premiere/ Are they the same? Hey Alex, no, they are not the same – they complement each other… Photoshop Elements is for photograph and image editing, while Premiere Elements is for video editing and making your own movies. Adobe Elements Family Comparison Guide – Which Is Right for You? And both of these Elements programs are actually the “little brothers” (scaled-down versions) of the full Photoshop CC and Premiere Pro CC. I have recently installed my PS Elements 11 on my new computer that runs windows 8.1 and my Facebook share button is gone and when I try to email the picture it gives an error message about no service or something. Help please! Hello Stephanie, could you please give a bit more detail and be specific with the exact message it gives you? That would help – thanks! Ik heb al een tijd PSE 11, maar nu ik er meer mee ge doen, kom ik er achter dat deze op 32Bit blijkt te draaien (gebruikt maximaal 3255 MB werkgeheugen). Ik heb een 64Bit PC met 8GB aan werkgeheugen en wil graag dat PSE 11 ook dit complete geheugen gebruikt. Van de helpdesk kreeg ik het advies om de 64Bit versie te downloaden, maar je kunt slechts één versie downloaden. Die zou het voor het 32Bit en 64Bit systeem moeten doen, maar nu ik deze weer heb geinstalleerd, geeft deze weer aan (bij systeem info) dat het 32Bit is. Natuurlijk werkt deze versie, maar is erg traag bij grotere bestanden. Hoe kan ik de 11 versie nu op 64Bit laten werken en ook de volledige 8GB laten gebruiken? I have PSE 11, but since I’ve done more work with it, I found out that this appears to run in 32Bit (used up to 3255 MB of memory). I have a 64Bit PC with 8GB of RAM and want PSE 11 to also use this entire memory. From the helpdesk I was advised to download the 64Bit version, but you can only download one version. That should work for the 32Bit and 64Bit system, but now I’ve installed it again, the system still indicates (by system info) that it is a 32Bit version. Of course, this version works, but is very slow with larger files. How can I have the PSE 11 version working on 64Bit and also make full use of the 8GB of my PC? Greetings Mike, thanks for your question. You should know that there does not exist a 64-bit version of Photoshop Elements 11 (photos) – only for Premiere Elements 11 (video)… That’s why it didn’t work for you. Adobe added native 64-bit support to PSE starting last year. So you would need to upgrade Elements to the latest-and-greatest version 14 to get that 64-bit performance. Your photo catalog would get upgraded as well with the new release. If you like, you can download a free PSE 14 trial before buying, to try it out and see how it works on your system. There are other major new features that have been added to Elements 14 vs. older revisions, as well. hey thanks ! when will Photoshop Elements version number 15 come out (I’m in no hurry) ? Sure, you’re welcome. If Adobe sticks to their traditional release schedule for the next version of Photoshop Elements, then PSE 15 could be expected to come out and be shipping in late September 2016. Does Elements 11 (for Windows 7 x64) still have the function to import Layers from Video like it does in 8, 9, and 10? It’s since been removed from 12 and on; 11 is the only one I have yet to test. I have been scouring the web for hours trying to find this out. Thanks SO MUCH in advance to whomever knows the last version of Elements that has this feature! Video to Frames feature in Photoshop Elements? You can also always use the free trial of the full Adobe Photoshop CC (Import > Video Frames to Layers). Hey, i have been looking for a safe link to download elements 11 for windows 10, but i can never find it – even a free trial would be great at this point. Hi Lilly, not sure if Elements 11 (old version from 2012) will work or run on Windows 10, but anyway here are the Elements 11 direct download links. I am using PSE 11 on my iMac with 8gb of RAM. I have plenty of space on my computer but always receive an error message when trying to open more than one photo that there is not enough RAM to complete the command. Apple tells me that it an Adobe issue. The longer I use this program, the slower it becomes. Any advice is appreciated. Thanks. Have you tried googling that? Often that will help turn up a solution.